Here is a request I received from an instructional coach. 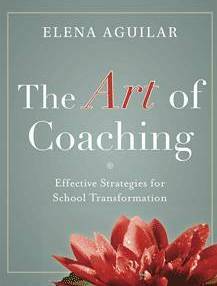 “I think it’s necessary that coaches and instructional school leaders provide facilitation and training for PLC members to experience effective collaboration, debate, and reflection that produce new teaching and learning strategies leading to success for all learners. I recently began partnering with ELAR teachers on “Learning Walks” in which we participate in three, 10-15 minute walk-through observations. Prior to the observations, the observer and I meet to determine what he/she would like to implement in the classroom, so I have an understanding of his/her purpose(s) or need(s), and I can make the necessary arrangements with classroom teachers. That being said, my first learning walk was Friday, and the teacher I accompanied was able to experience effective strategies and innovative practices. This was a meaningful learning moment for her, but how do I extend that learning and move her from observer to implementer? Once teachers visit effective classrooms and have observed innovators in action, how can I help them to implement the strategies in their own classrooms? Where did you observe that desired student behavior? What were the teacher behaviors that gained the student behaviors? Maybe interview the teacher that was observed… “What is she consciously doing to get the desired student behaviors? What change would you make in your behaviors to gain those desired student behaviors? What support might you want to begin that change process, such as modeling in your classroom or support while planning? Example…. If the teacher was looking at how she encouraged thinking by “helping less” or how she responded to students’ questions with answers, or clues, or questions, you might first just focus on teacher’s responses so that she can see if she is changing. When she knows she has changed her behaviors, she’d have you look at students to see how they are changing? Lastly, maybe observing specific students to see she how she has to differentiate her responses. I cannot say thank you enough for this post. As a first year instructional coach,I am constantly working on my questioning skills so that I am encouraging teachers to question what they see, do, and want to do. The pre-walk, during, and post walk questions you posted are going to truly help me help my teachers to focus inward and to guide our peer observations. This has been an area where I have struggled this year. Peer observations have been approached from my administrations perspective of having the teacher being observed telling the observer what he/she wants him/her “to look for.” To me this is asking the observer to give advice or to possible solutions I struggle with this to some extent because I think that the observer should be observing quality teaching and noticing what is happening. (I could be way off base on this). Many teachers have asked to observe me this year which puts me on the spot to come up with something for them to look for. What I would rather see happen is for the observer to come into my room with something in mind to observe. For example, “How does she conduct conferences?” Now this opens the door for the teacher to observe that component and to give us an opportunity to talk about what was observed. This benefits both of us. I get a focused reflective look at my teaching and an opportunity to share, etc. I see this as a win win situation. Your questions will help me guide my ILA teachers attention, purpose, and intent as they have the amazing opportunity to visit other classrooms. So far many teachers have seen this opportunity as a waste of time. I am so excited about these questions. I think I see them as so much more than maybe what you intended. Thank you, thank you, thank you! So if my post just rambled on and on. It is truly making sense in my mind right now. Thank you so much for this post and all the previous ones you have posted regarding coaching. They have provided me with valuable insight and led me to reflect about my role as a coach when working with the teachers and students. I have been able to utilize many of your suggestions and resources and I can see how much I have grown, which in turn helps me to support my colleagues. I look forward to reading these each week and look forward to the week ahead so I can implement what you speak of- THANK YOU!!! Thought-provoking ideas – I am thankful for the analysis , Does anyone know if I would be able to find a blank a form copy to fill in ?